in demanding expert, research or management positions. and a half (2.5) years. resources at the University are targeted mainly at full-time doctoral students. tutorials, or conferences within the past two years. by the Faculty for the postgraduate studies. Licentiate thesis is part of the licentiate degree. degree before the doctorate degree. Graduate School of the University of Vaasa. 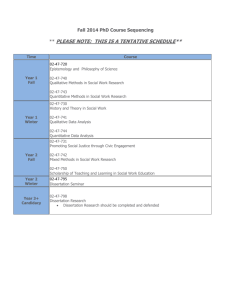 to the programmes two times per an academic year. 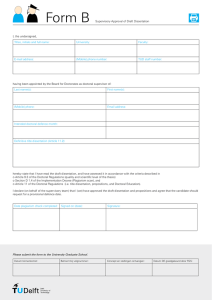 eligibility for corresponding higher education. 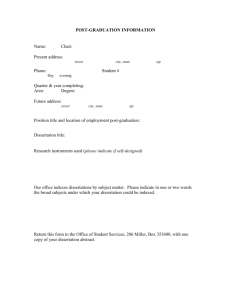 applying for a Doctor of Science in Economics and Business Administration degree. 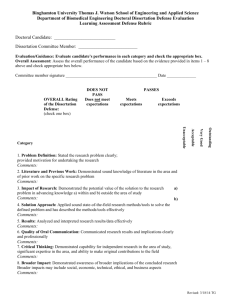 research capabilities in the study field of their dissertation. The applicants should also have adequate language proficiency to complete their studies. Proof of language proficiency should be attached to the application. before the study right begins. 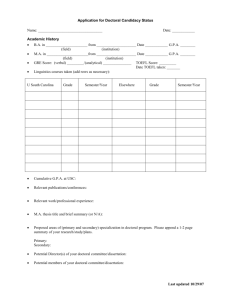 study right, and accepts the research plan and the personal study plan. the qualifications of a professor or docent. Full-time students can complete their doctorate degrees in four years. detail in the curricula of the doctorate and licentiate degrees. The assessment of doctoral and licentiate theses is described below. 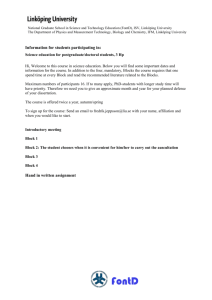 Students may request for rectification of the assessment of their studies or theses. and grade of the major subject as well as grades of possible minor subjects. and its grade, and the discipline of dissertation. submitted to public examination in the public defence of a dissertation. 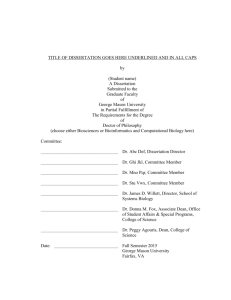 degree may be a monograph or a so-called article-based doctoral dissertation. 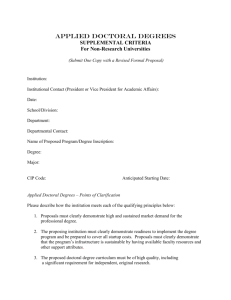 The articlebased doctoral dissertation may consist of articles or essays. level one (1) Publication Forum classification. well the position in and contribution to the research area. justified cases, the same article may also be used in another doctorate dissertation. conferences or workshops of the discipline. conclusions, as well the position in and contribution to the research area. register before commencing the pre-examination process. Faculty. After hearing the department, the Faculty Board appoints at least two preexaminers for the research. The pre-examiners must be appointed from outside the Faculty. the field of the dissertation. published in scientific publications which evaluated the content as well. have been made to the dissertation, and the instructor of the work recommends that the preexamination process should commence. to suggest a grade for it. Committee but does not have the right to vote. The activities of the Grading Committee are governed by separate instructions. and critically and to produce new scientific knowledge within his/her field of research. new scientific knowledge within his/her field of research. the work are either not defined or are very limited and/or problematic. The Dean confirms the grade of the dissertation. 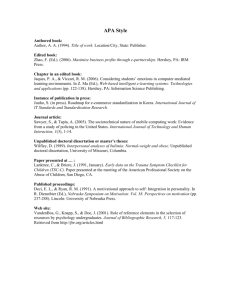 curricula of the doctoral and licentiate studies. research and the capability of independent and critical scientific thinking. awarded at least a level one (1) Publication Forum classification. The licentiate candidate must be the sole author of at least one (1) of the publications. clarification must include an approval from the other authors. Regardless of the form, the licentiate thesis is always evaluated based on the entire thesis. area of the licentiate thesis. The instructor cannot act as an examiner. electronically in pdf format to Tritonia database. defence against the statement made by the examiners. writing within 14 days from the date when notice of the decision was served. Grading scale applied in a licentiate thesis is Pass/Fail. within 14 days from the date when notice of the decision was served. 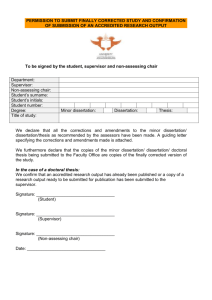 dissertation, such as the date and time of the public defence as well as the language used. The expiration of study attainments is defined in the curricula. If needed, the Faculty Board gives further instructions on applying these Regulations. Degree Regulations on postgraduate studies in the faculty (approved on 1 October 2010). students as of 1 August 2013.